13140 Sabal Chase Drive Palm Beach Gardens, Fl 33418 has been sold. You can view available homes in Old Marsh. 13140 Sabal Chase Drive located in Palm Beach Gardens, FL is a single family home with 5 bedrooms, 6 full baths and 1 half baths.The Home at 13140 Sabal Chase Drive was built in 2019 in Old Marsh and offers a 2.5 car garage. This Old Marsh Home offers golf course, tennis, clubhouse, putting green. 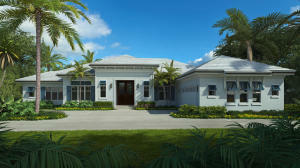 13140 Sabal Chase Drive Palm Beach Gardens, Fl is currently listed for $2,795,000 under the MLS# RX-10470948. This Home has been put on the Palm Beach Gardens MLS system and currently has a status of SLD.